I am honoured to be included in Native Advertising Institute’s list of 100 Significant Women In Native Advertising 2018! 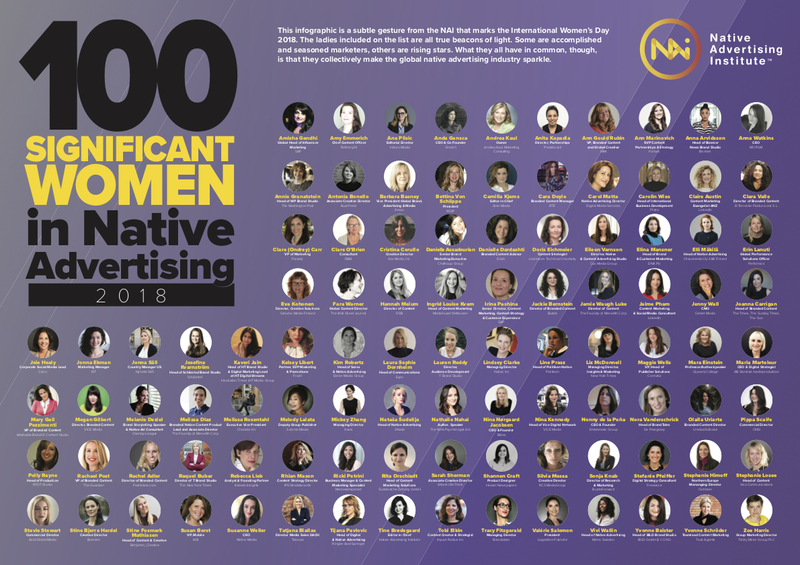 This list describes itself as “A most relevant industry list acknowledging 100 women who are raising the bar for native advertising” and I am gobsmacked to be named as one of them and put alongside 99 incredibly talented ladies. One of those women in particular is Melissa Rosenthal, who was the woman who hired me to work for BuzzFeed 4 years ago and has been an inspiration to me ever since.